What does a 100% human milk diet consist of? It is Mother’s Milk, or pasteurized milk from a screened and qualified donor plus supplemental human milk-based fortifier to provide added calories and nutrients for adequate growth. 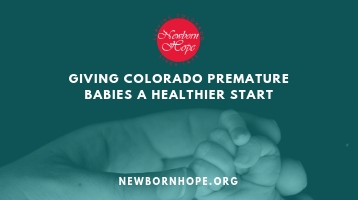 The National Coalition for Infant Health (NCfIH) is a collaborative of professional, parent, clinical, community health and family support organizations focused on improving the lives of premature infants and their families. As a key priority, the Coalition advocates for access to human milk and human milk-based fortifiers for very low birth weight preemies. “An exclusive human milk diet can shield preemies from necrotizing enterocolitis, or NEC, a potentially life-threatening intestinal condition,” says Dr. Mitchell Goldstein, Medical Director. “The most common and serious intestinal disease you will hear about as a parent of a preemie is necrotizing enterocolitis.” he says. Necrotizing enterocolitis happens when tissue in the small or large intestine is injured or begins to die off. This causes the intestine to become inflamed or, in rare cases, develop a hole (perforation). Many of these babies require immediate surgical intervention and often don’t survive. While the exact cause of NEC is unknown, experts believe that different factors play a role in its development. These include too little blood flow to the intestine as a result of a difficult delivery, heavy growth of bacteria in the intestinal wall, and the use of cows-milk formula or fortifier before baby’s digestive system is mature. In fact, studies show a 77% reduction in NEC in 1,250 gram babies who received an exclusively human milk diet. But it’s not just about NEC. Evidence also supports that an exclusive human milk diet has additional benefits beyond the reduction in NEC including reducing the use of total parenteral nutrition (TPN), the number of days in the hospital, complications with bronchopulmonary dysplasia, retinopathy, feeding intolerance, sepsis, and an increase in overall growth. There is a clear distinction between cow or “bovine” fortifiers and exclusive human milk fortifiers and we urge parents to be informed and work with their healthcare team on this vital issue.